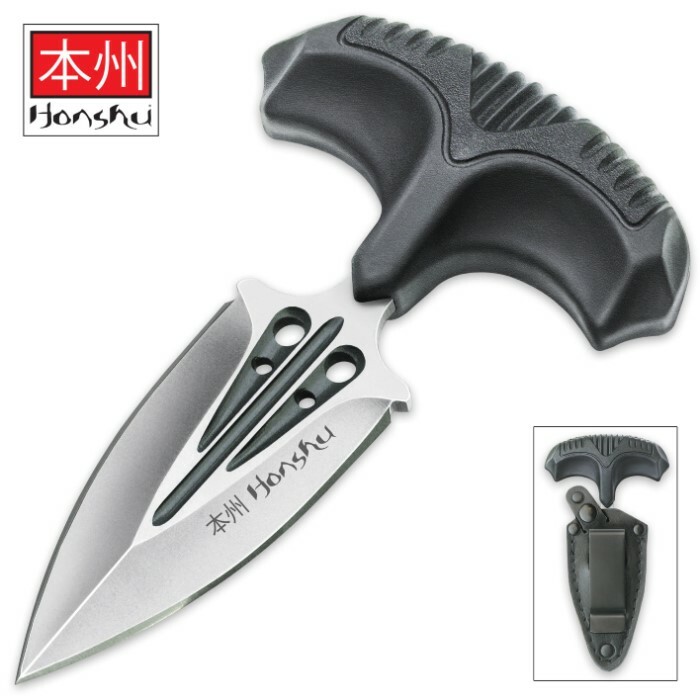 Honshu Small Covert Defense Push Dagger And Sheath - 7Cr13 Stainless Steel Blade, Molded TPR Handle - Length 4 3/4” | BUDK.com - Knives & Swords At The Lowest Prices! 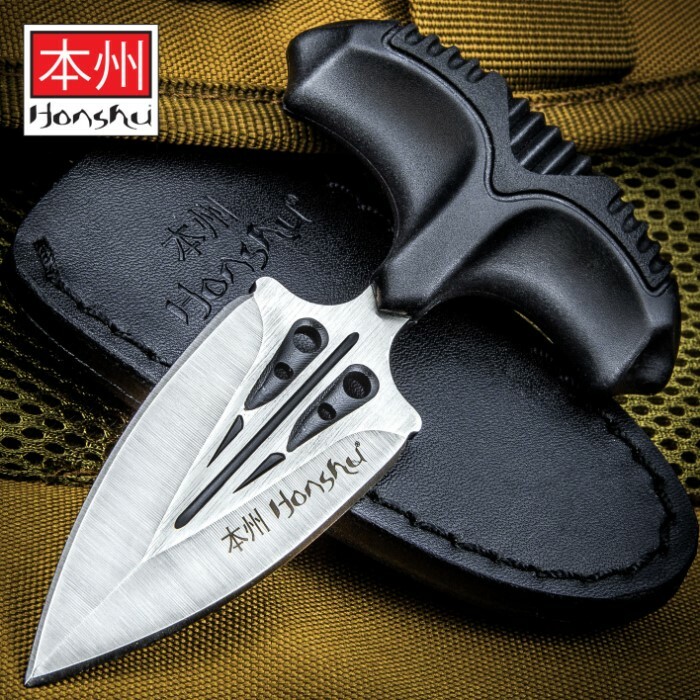 Ideal for covert personal protection, the Honshu Small Covert Defense Push Dagger is that extra measure of peace of mind that you’ve been looking for! The discreet self-defense dagger has a sharp 2 5/8” 7Cr13 stainless steel, satin finished blade with a deep pressed groove and through holes. The push handle is textured injection molded TPR rubber, which gives you the best possible grip. The blade slides into a genuine leather sheath that has a quick release snap and features a nickel-plated steel boot clip. Let the Honshu Small Covert Defense Push Dagger back you up! 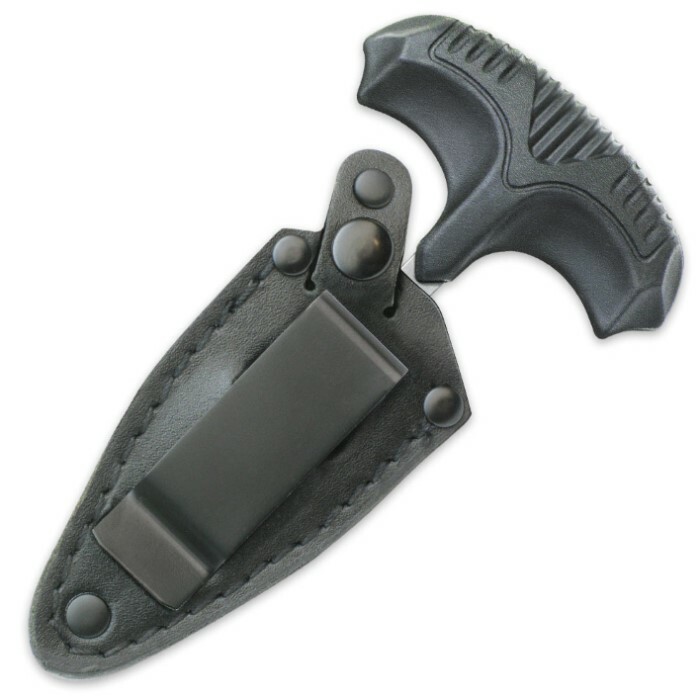 I just ordered this Push Dagger,It came on time,as seller said,packaged well.I took it out and everything was in order,the dagger Was sharp,loved the way it feels in the hand,and the sheath,was made good,also,would recommend this dagger,overall.